The company provides a wide range of Marble Bowl for domestic as well as commercial level use. We provide a lot of designs and sizes in our range of Marble Bowl. 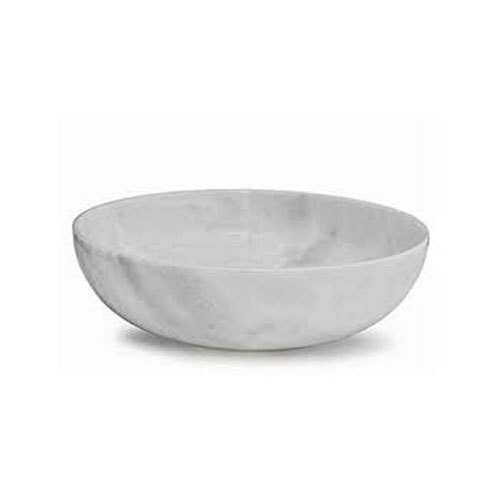 These Marble Bowl can be used for dinner parties, get together of official meals. The quality of the marble used to manufacture our range of Marble Bowl in unmatched in the market. Established in the year of 2018, Aaron Marble & Stone Art is the leading manufacturer of Marble Chakla, Marble Mortar, Marble Fountain, White Marble Ashtray and much more. The offered products are enormously well-liked by valued customers for their high strength, durability, low maintenance and longer life. In addition, we provide these products in different sizes and designs at nominal prices to customers.